Remember being a child & that overwhelming excitement you felt in the lead up to Easter morning and seeing if the Easter bunny had come during the night? Well I love that now I have my own little people who I watch get that same feeling as they race through the garden and squeal with delight as they find bright coloured eggs hidden throughout the plants & flowers on Easter morning. I love seeing decorations with gorgeous colours, cute little bunnies & chickens. Yep, love Easter! 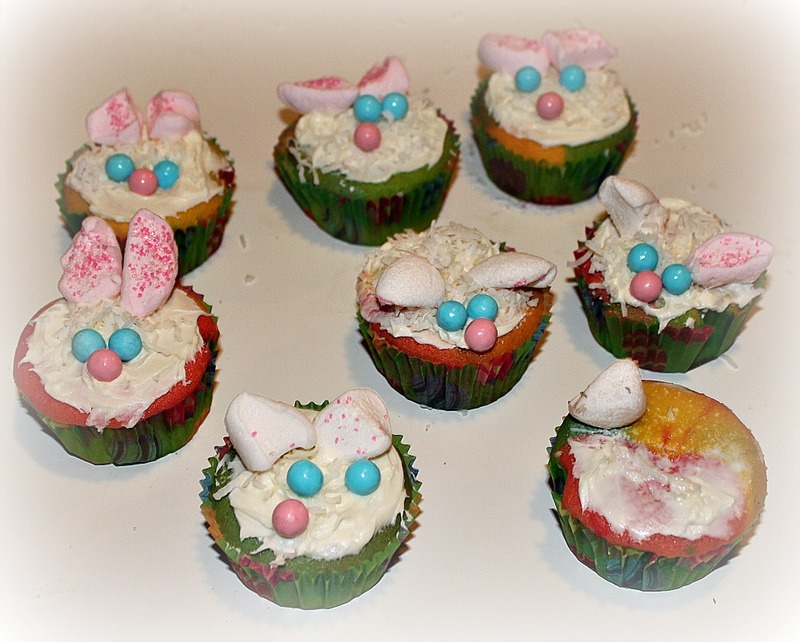 So we thought we would have a little practice of some cute Easter Bunny cupcakes that we will make for Easter. We decided to do some rainbow cupcakes & add in Easter eggs to the center. These were all the kids doing, my little boys Ethan & Declan and two of my nephews Mayson & Kayden. 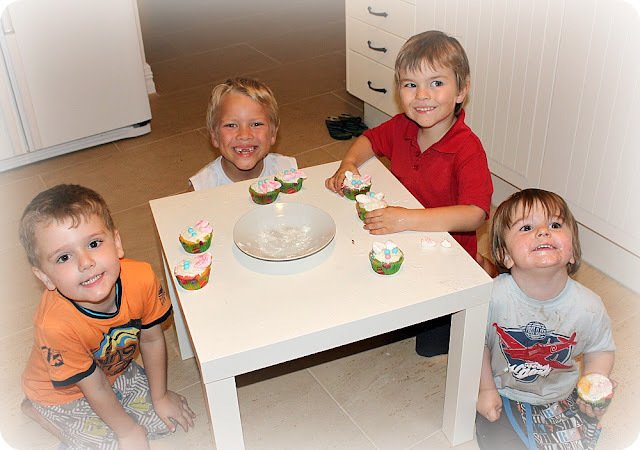 They mixed, poured, decorated, made a mess & had a wonderful time doing so! 1. Mix cake mix. Decide how many colours you would like to use in your rainbow and then separate mix into that amount of small bowls. 2. Add a small amount of food colouring to each bowl and mix. 3. Spoon mix into patty pans ading a little of each various colour at a time to create a ‘rainbow’ effect. 4. 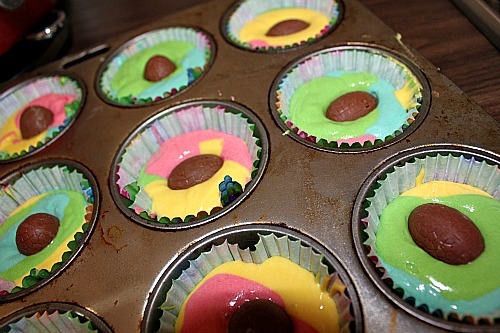 Place small easter egg into the center of each patty pan. 5. Bake cakes. Once cooked remove from oven and cool. 6. On cool cakes, spread icing. Cover with coconut. 7. Cut marshmallows into little pieces to make bunny ears and then dip in sprinkles. 8. 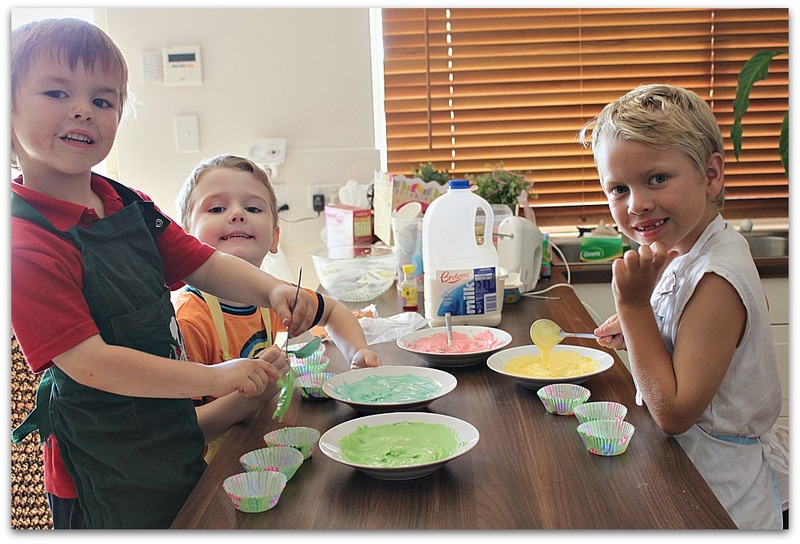 Add bunny ears to cakes and then add little lollies to make eyes and nose. 9. 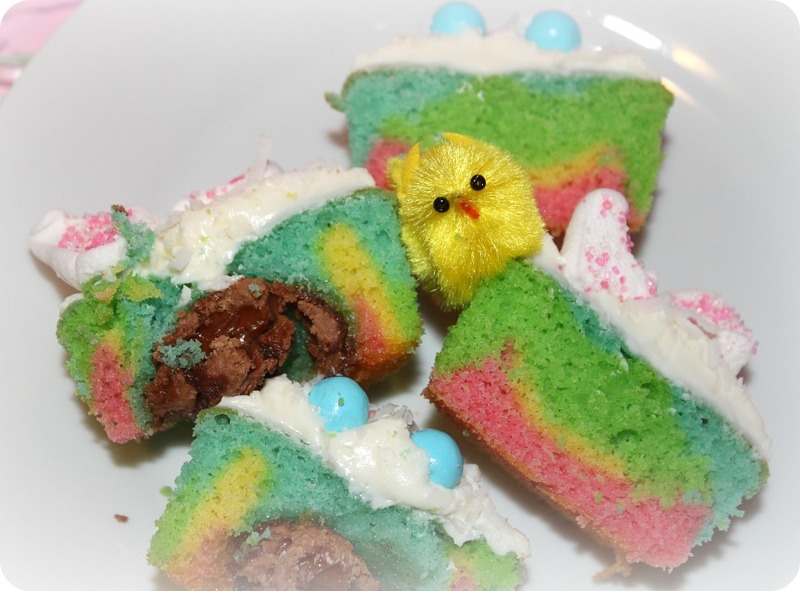 Take a bite and see gorgeous rainbow coloured insides with yummy melted easter egg centers. 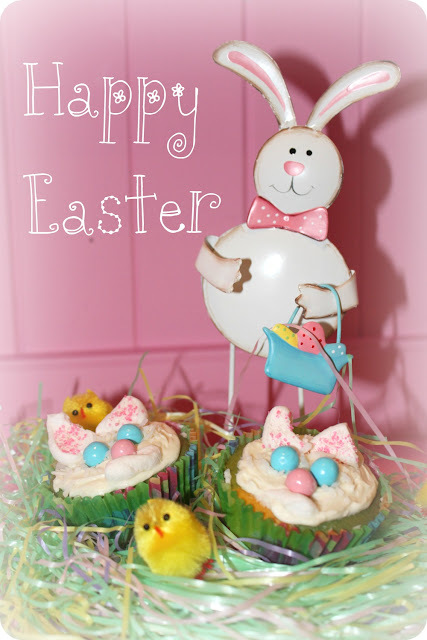 We hope you and your little ones have fun making these cute little Bunny cupcakes! Wishing everyone a wonderful Easter and I will be sure to show your our Easter celebrations after the day :) We would also love to see and share your Easter celebrations, so if you put on a cute dessert table, make some cute decorations or anything you would like to share from your Easter parties, feel free to email them through to me at pieceofcakeparties@iinet.net.au and ill feature them on the blog! ps: these also make a cute Easter gift for grandparents etc, put in a pretty cake box, wrap in cello and you have a yummy handmade Easter gift!